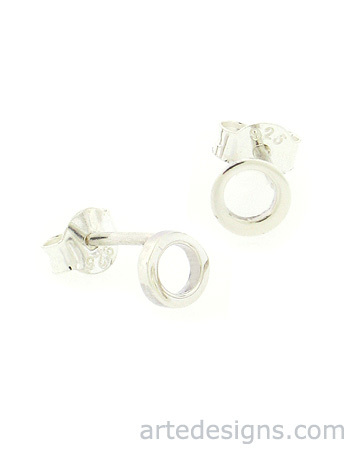 Looking for a pair of no-fuss stud earrings that you can put on and forget about...but still look modern and fun? These super tiny circle earrings are perfect for you. Don't let the size fool you. These tiny circles are only 5mm, but they're shiny! Entire earring and post are sterling silver.